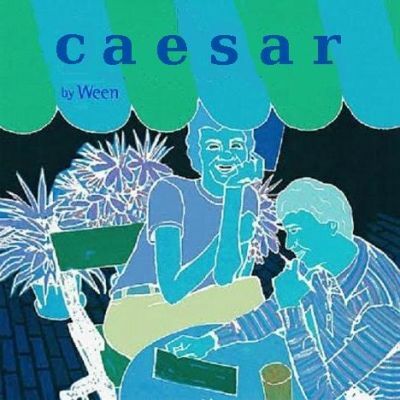 I recently discovered a two-CD download of “Caesar” demos for Ween’s eighth album, “Quebec,” that was released by Mickey Melchiondo (aka Dean Ween) on his facebook page a few years ago. “Caesar” was the original title for “Quebec,” and the demos were recorded while drummer Claude Coleman was recuperating after his near fatal car accident in 2002. Many of the demos feature just Micky and Aaron Freeman (aka Gene Ween) without backing musicians just like at the beginning of their career. While the demos include alternates of most of the 16 tracks that made the final cut of “Quebec,” there are an additional 13 songs that will be new to most Ween fans. Whether in demo form or in their final studio incarnation, songs like “Transdermal Celebration,” “Captain,” “Zoloft,” “Chocolate Town,” “So Many People In The Neighborhood” and this one, are amongst Ween’s finest songs. Now that Ween have decided to call it quits, let’s hope that there are more unreleased recordings in store for fans in the future.